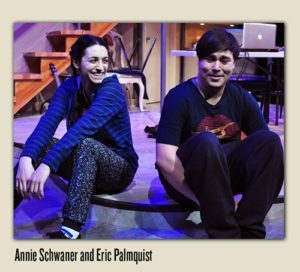 Prepare to be schooled with a dynamite story about homelessness and parachute kids in California, performed by a superb cast who create not-to-be-forgotten characters, in a Rolling World Premier play so perfectly directed and presented at Kansas City’s Unicorn Theatre. 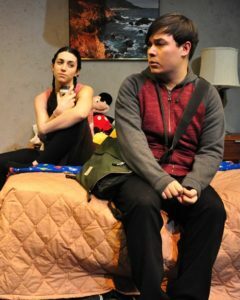 “Nomad Motel” By Carla Ching, directed by Andi Meyer and Ian R. Crawford opened Jan. 27 at midtown Kansas City’s Unicorn Theatre and continues through Feb. 17. 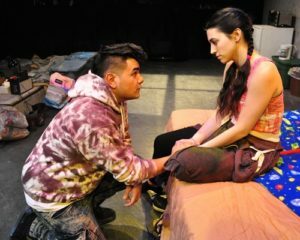 A mesmerizing, knock-your-socks-off, engrossing look into the lives of homelessness in California paired with a look at parachute kids from a foreign culture. The subtitle, “Hidden Homelessness & Hope” only gives a peek into what explodes from the actors on stage. The play illuminates persons living in the shadows with an unexpected twist from what most expect. Nothing prepares audiences for the realism contained in the play or the personal battles of the richly developed characters–each with his or her back-story that adds new levels of depth and understanding to the play. Main focus of the story, involves the complicated circumstances both Alix and Mason face. Alix dreams of a college career to eventually work in the landscape architecture field to create inviting space for families. Mason, from Hong Kong and in hiding, knows his passion lies in music composition, against the wishes of his stern absentee father. Alix lives in motels with her mother and two brothers; Mason in a house, alone, with no parental care or real interaction. Both make the most of their desperate circumstances while clutching dreams much bigger and broader than the reality they live. Alix’s mother wants to be a good mother and provider, but can’t seem to get her act together or get any traction for success. Mason’s dad lives and works in Hong Kong. He sent Mason to California for high school and college education and speaks to him via Skype every few days. Both students need family and guidance, yet those necessities seem frivolous when struggling to survive from day to day. While Alix is the embodiment of teenage homelessness, sleeping in motel rooms and vacant convenience stores, Mason typifies the “parachute kids” of Asian parents who drop their children off to get their education but remain overseas during the process. Ching’s play sharply focuses on their situations with strong depiction of their dire circumstances and struggles to exist from day to day. Alix is smart, but not organized or a brainiac; but Mason possesses a photographic memory and perfectionist mentality. How the pair interact fuels the story through both acts, and Ching’s dialogue sounds bitingly accurate and gives the actors rich, full-bodied, flawed characters to present to the audience. Hats off for the casting decisions and direction by Ian R. Crawford and Andi Meyer for their selection of a new actress to the KC area, Annie Schwaner as Alix. Schwaner nails the character by showing Alix to be gritty, determined, head-strong, brave, persistent, yet tender, vulnerable, and hopeful. As Mason, Eric Palmquist gives his best performance and grabs the audience’s attention in the first 10 seconds of the opening scene, a solo scene with him demonstrating the artistic development of a musical composition. His focus and playing of that opening scene captures the audience and never lets go. 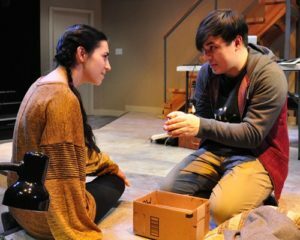 While Alix and Mason hold the piece together and balance the two different worlds of homelessness, the three other actors add major depth to the circumstances and types of people in such situations. Heidi Van, as Alix’s mother. brings all the tension and desperation of a woman doing whatever she can to maintain and hold her family together. While not organized, with few skills, and desperate, she typifies the notion that desperate people do desperate things. Van’s character can barely take care of herself, let alone take care of her children’s daily needs. The character displays the dashed hopes and dreams of a person who lost her compass and cannot navigate successfully in rough currents. Well known in the KC Metro from performances in almost every venue, Walter Coppage presents a character so different from past characters. Coppage portrays a Hong Kong “collector” who communicates to his son Mason through phone and computer. While the character comes across as very dominate and strong, his explosive nature snaps when he encounters Mason face to face. From stern parent to raging warrior in a split-second, Coppage’s character shift will cause the audience to jump when he flips the switch. Finally, Justin Barron produces probably his best character to date. Playing a homeless Mexican student, Barron can steal the scene from anyone on stage with him. His facial expressions, his gestures, his body language, his delivery, just embody the character in this play. His character gives the other characters something to work with and react to. Though hopeful, the audience senses that his internal, mental doubt will forever shatter his hopes and aspirations. For “Nomad Motel” the production crew created a nice working set. One side served as Alix’s places of residence while the other side met the needs of Mason’s home. With Mason being a music composer, the sound design was particularly good. The lighting design worked as well to keep the audience focused on the action set. As always, The Unicorn cuts no corners and delivers solid plays. “Nomad Hotel” continues that long-established tradition. The cast is: Walter Coppage, Heidi Van, Eric Palmquist, Annie Schwaner, Justin Barron. The production team is: Tanya Brown ~ Stage Manager, Emily Swenson ~ Scenic Designer and Co-Projections Designer, Sarah Oliver ~ Costume Designer, Victor En Yu Tan ~ Lighting Designer, Zack Pierson ~ Sound Designer, Paula Pearson ~ Props Designer, Greg Mackender ~ Music Coordinator and Co-Projections Designer, Sarah Jean Hohne ~ Dramaturg, Zoe Spangler ~ Assistant Lighting Designer, Chloé Robbins ~ Production Assistant, Chioma Anyanwu ~ Sound Board Operator. 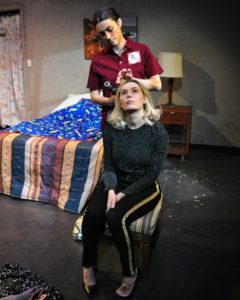 “Nomad Motel” continues at The Unicorn Theatre through Feb. 17. 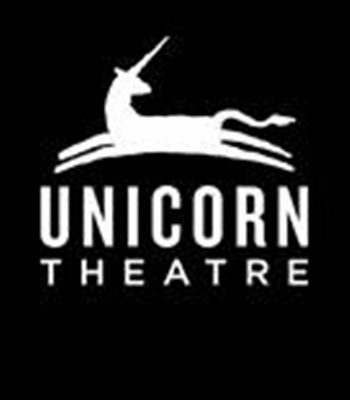 For dates, times and ticketing, check out The Unicorn Theatre website. The Unicorn offers Pay What You Can for weeknight shows to make art affordable to everyone. Ask the box office for details.